If the battle of Gettysburg was the turning point in the war, General William Tecumseh Sherman’s Atlanta Campaign could be considered the home stretch. It was late in the year of 1863 and General U.S. Grant had taken Chattanooga. 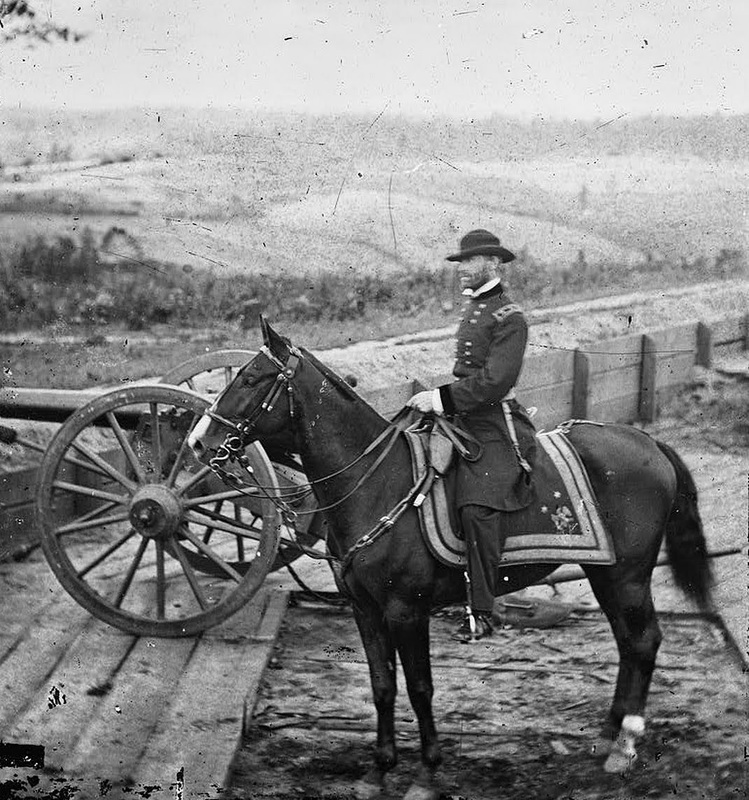 Grant was promoted to general-in-chief of all Union armies, and his old fishing buddy, General Sherman took his place commanding the army of the west. Sherman’s plan was to march through Atlanta and then onward to the sea, cutting the south in half. But the Confederate Army had a different plan. William McCallister Wallraven was a typical Georgia teenager working as a laborer along-side his father when the war broke out. While others rushed off to enlist and “whoop the Yankees”, young William stayed behind with his folks, Berry and Martha Wallraven, his two brothers and four sisters. The 1860 U.S. Government census shows the Wallravens living in the Buckhead District of Fulton County, Georgia – now a high rent suburb of Atlanta. But they were from Gordon County, about midway up the road to Chattanooga. And with the outbreak of the war they moved back to Gordon County. The movie Cold Mountain, starring Nicole Kidman and Jude Law, introduced us to a handful of very unsavory characters referring to themselves as the ‘home guard’. These men (a father and sons in the movie) stayed behind to protect the home front from lawlessness, and any Union soldiers that may have snuck through. In fact, the Confederate Home Guard did exist. It was a loosely organized militia under the direction of the Confederate Army, designed to be the last line of defense against the enemy. But the home guard (or state guard) was also tasked with tracking down and capturing any Confederate deserters. And, just as portrayed in the movie, there are many accounts of mistreatment, torture and even the murder of deserters by these home guardsmen. In August 1863 the 1st Regiment Georgia Infantry, State Guards was formed. This regiment was to serve as local defense for six months. Company G of the regiment was known as the Gordon Guards, as their job was to defend Gordon County, should their services be needed. Berry Wallraven and his son William McCallister Wallraven are listed as Privates on the Company G roster (as are President Wallraven, a cousin, and Johathan Wallraven, who may be William’s older brother). They were probably aware that Chattanooga had fallen, but there is no way Berry and William Wallraven could have known the grand battle plan devised by the Union Army’s western General, William Tecumseh Sherman. And it could only be described as fateful that Gordon County, Georgia, the land they called home, stood directly between General Sherman and Atlanta. 110,000 Union soldiers marched down upon Privates Berry and William Wallraven (and 55,000 other Confederate soldiers) over the course of two days in May, 1864. The Battle of Resaca was the first major battle of Sherman’s Atlanta campaign, resulting in the deaths of over 5,500 men and a major victory for General Sherman. And while we do not know what happened with Berry Wallraven, we do know he lived to at least 1880, and died at the age of at least 66. William McCallister Wallraven wasn’t so fortunate. While he was not killed in action, he was taken prisoner of war by Union forces, along with his cousin President Wallraven. Prisoner exchanges were a common occurrence in the Civil War, and In Sherman’s journal he noted his policy of prisoners being, “…captured, sent to the rear, and exchanged.” As so it is that the journal Civil War Prisoner of War Records 1861-1865, on file at the National Archives in Washington D. C. records the release of one William Walraven, a Private of the Home Guards, Gordon Co. Company, State of Georgia. Private Walraven was listed as a man of dark complexion, dark hair, hazel eyes and standing 5’10”. His release, among many others, was ordered by Union Major General Thomas, and was effected at Chattanooga on 24 MAY 1864, a mere nine days after the bloody Battle of Resaca. William McCallister Wallraven went on to marry in 1866. He and his wife, Mary Jane, saw many children and grandchildren. Berry Wallraven was my 3rd great grandfather. William McCallister Wallraven was my 2nd great grandfather. And the 1920 U.S. Government Census records him as a 77 year old head of household. Among those residing in William’s home was one Dennis Wallraven, age 40. Dennis was my great grandfather. And by the way, that same census also records in residence a 12 year old boy named Olen. That 12 year old boy grew up to be my fishing buddy when I was a 12 year old boy! Helena Arkansas was a town on the Mississippi River, about 50 miles south of Memphis and 100 miles southeast of Little Rock (as the crow flies). Helena was a town of wealth, and a major port on the river. In 1862 the Union Army marched in Helena without opposition, and fortified the town for occupation. On July 4, 1863 the Confederate army executed an attack on Helena. Under the impression that most of the Union forces in Helena had been relocated to join General Grant in the Vicksburg campaign, they thought the recapture of Helena would be successful. They split forces into three, attacking at dawn from three different directions. But two things thwarted their plan. First, the Union army had not reduced troops in Helena as they had thought – at least not to the point of weakening it. And second, the Union soldiers had felled trees along all the passages into town. This prevented the Confederates from moving their wagons or artillery up the ridge. The siege on Helena was a dismal failure. Of the 7,646 Confederate soldiers who marched into the July 4th battle, 173 were killed, 687 wounded and 776 missing; a total of 1,636 men. The Union side fared much better. Of the 4,129 Union soldiers engaged, 57 were killed, 127 wounded and 36 missing; total casualties of 220. Amos Pitts was the first born son of Levi and Elizabeth Pitts of Clarksville, Arkansas. Amos was born and raised in the USA – specifically in the state of Arkansas. But when Amos was 18 years old the State of Arkansas declared its succession from the Union and became a part of the Confederate States of America – which was at war with the United States of America. So Amos Pitts enlisted in the Confederate army; specifically Company I, Arkansas 35th Infantry Regiment. The 35th was among those who marched on Helena, and Amos F. Pitts was among those brave Confederate soldiers who fought on that hot July day. And on that day, July 4th, 1863, Private Amos F. Pitts was counted among the 173 Confederate souls who perished on the field of battle. 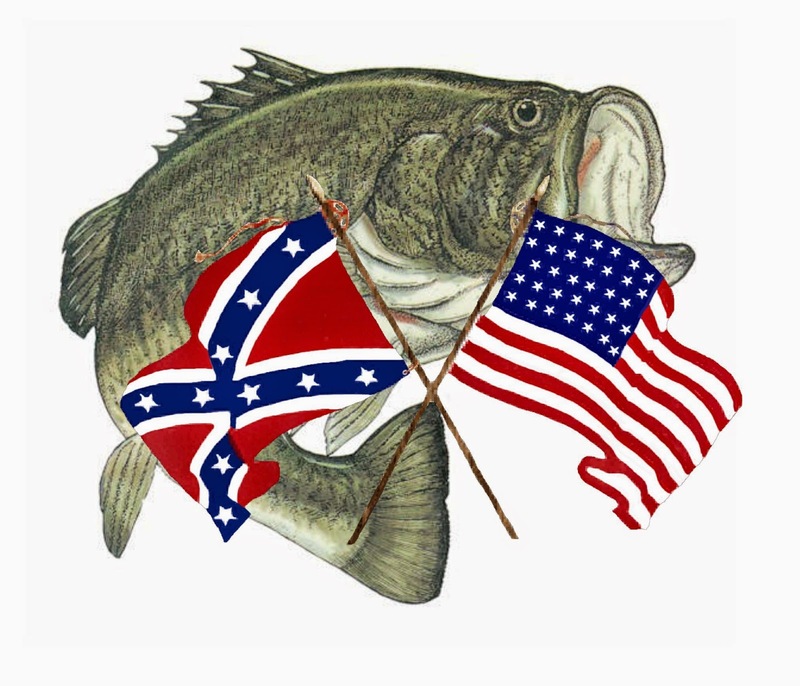 While Arkansas was a southern state and a part of the Confederacy, being of the “upper south” many of its populace were not keen on the succession, and clung to their unionist sympathies. Arkansas was truly a state where brother was pitted against brother. With Helena as its base of operations, the Little Rock Campaign was launched. The fall of Vicksburg had freed up thousands of Union troops, and 6,000 infantry were dispatched for the purpose of capturing Little Rock. In September 1863 Maj. Gen. Fredrick Steele’s Union army marched into Little Rock and accepted the surrender of the city. Along the way he lost only 137 men. And having a strong Union presence in Arkansas, and with many of the locals sympathetic to the North, the Union army established several regiments in the state. Perhaps Levi Pitts of Clarksville, Arkansas pitied his firstborn son Amos for having given his life for the wrong cause. A father first loves his son, then tries to understand him. But war provides no answers – much less, logic, and now this son was lost forever. But Levi had other sons, and his influence over those boys was strong. And so it was that, on the 13th day of January, 1864, Levi Pitts, at the age of 45 left his wife Elizabeth behind to watch over the five youngest kids, and enlisted as a private in the UNION army - 2nd Arkansas Infantry Regiment, Company H. And he was joined by his sons, Hiram K. Pitts, age 21, and Elijah D. Pitts, age 19, who both enlisted in that same Regiment on that same day. The military operations during the initial days of July 1864 consisted primarily of scouting parties for the Union. On July 9, 1864, Colonel James Stuart dispatched one lieutenant and twenty men from the Tenth Illinois Cavalry Volunteers to scout the area from Huntersville - present-day North Little Rock - to Little Rock. The Union forces came across a small Confederate party twenty miles north of the city, taking one prisoner and wounding/killing four (the total is unclear in the official records). Skirmishes like this one broke out around the periphery of Little Rock following its fall to Union forces in September 1863. At times, the commanding officers of Confederate and Union forces fighting in these skirmishes knew little about their opponent, as evidenced by the official reports. On September 20, 1864 at Huntersville, AR (now North Little Rock) Levi Pitts fell, apparently killed by skirmishers loyal to the Confederacy. Then, on December 8, 1864, again at Huntersville, young Elijah Pitts followed his father in death, in like manner. Of this father and three brothers, only one survived that awful war; Hiram K. Pitts. Hiram went on to marry, and had a daughter they named Lura Lea. Lura Lea Pitts became Lura Lea Kepler when she married my grandfather, John Franklin Kepler. 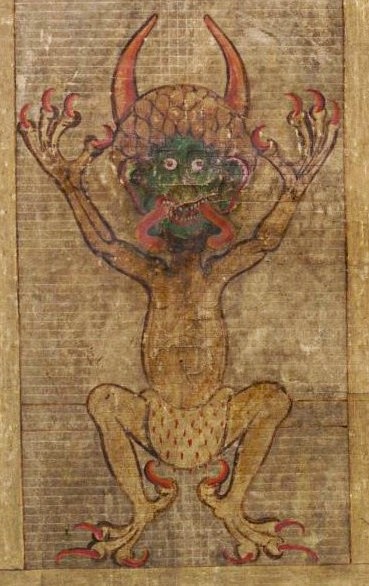 The Devil as depicted in the Codex Gigas . As I write these words certain individuals in my fair city are preparing to worship the Son of Perdition. Satan, Lucifer, El Diablo; perhaps you call him Beelzebub or the Prince of Darkness. Maybe you just refer to him as the Devil. But (with apologies to the Bard) a devil, by any other name, still smells of sulfur. A Black Mass is a ritual whereby those who would pay homage to Satan mock the traditions of the Catholic celebration of Mass, usually by stealing a consecrated “host” and desecrating it in ways best left unspoken in this venue. For my unlearned protestant friends, the host is what we would refer to as the bread in Holy Communion (except for the consecration of said host, which gets into a whole other discussion on transubstantiation vs. consubstantiation, which discussion we shall save for another time). Of course, there are other individuals - Christian Leaders - who would see this worship service banned. They have started an on-line petition to the city fathers requesting they withdraw access to the city’s civic center. Were such a petition to be successful, I would anticipate a similar petition when one of these church fathers tries to rent that same public facility for a Christian worship service. Such are the ways of a society that practices freedom of religion. This attempt to fight the Satanists got me thinking – battling the devil in a court of law – wouldn’t that be fighting a spiritual battle in a natural arena? I would think the best way to stop a satanic ritual is to introduce the Satanists to Jesus Christ as their own savior. I’m reminded of my friend Joey. Joey is the pastor of a church in a small town in a small county; a county to which thousands of fans of the rock and roll group Insane Clown Posse would converge annually for several days of drunken debauchery. Joey and other spiritual leaders of the area tried to stop this yearly desecration of their homeland. They signed petitions. They fought in the courts. They prayed for hours on end. But the Juggalos kept coming (Juggalos are fans of the Insane Clown Posse). 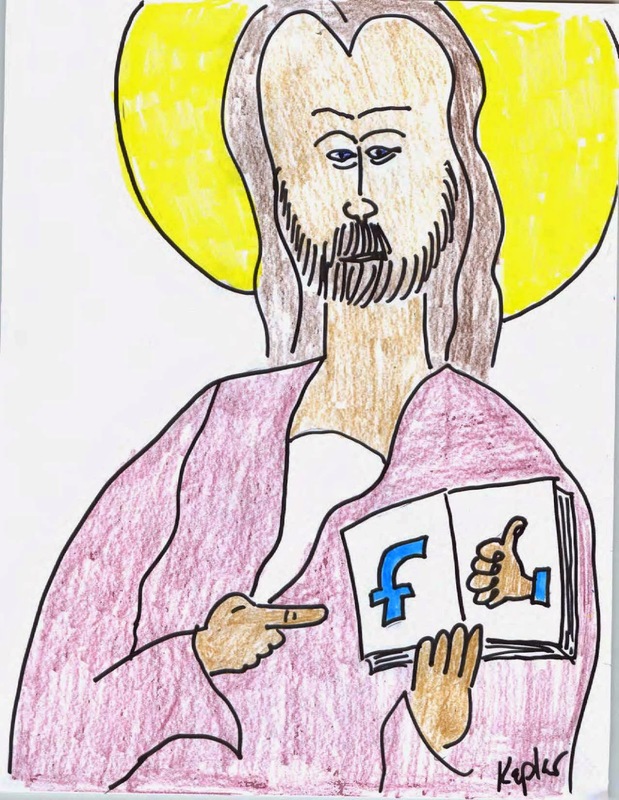 Then my friend Joey got a revelation. “Hey,” he thought, “Instead of fighting this, why don’t we embrace it!” So Joey got permission from the Insane guys to set up a tent and feed the Juggalos. Sandwiches and Salvation! Joey learned that a couple of sandwiches went a long way with a group of kids that had remembered their beer but forgotten there are no McDonalds in the middle of the forest. And lo and behold, before the end of the Insane party, my friend Pastor Joey was baptizing ex-juggalos in the Ohio River! The wisest man who ever lived, Solomon said it best, “There’s nothing new under the sun.” There aren’t any new devils, just the same old bunch, regurgitated into a new generation of idiots. And so we have Black Mass Hysteria! You would think that by now we Christians would have learned how to deal with them. Illustration from the Codex Gigas, in the public domain. My stepson, Jerry is approaching his 18th birthday with an understandable measure of glee. After all, think of the milestones of life that go into effect at 18; voting for president, smoking cigarettes (if you are so inclined), entering into legal contracts, and registering for the draft. The what? That’s right, Jerry. Within 30 days of your upcoming birthday you are required by law to enter your registration for Selective Service. That way the government will have your name and birth date, should global war break out on three major fronts. Of course, you can always get out in front of things by enlisting. Your local recruiter will give you the lowdown – and you can believe every word he says; right veterans? This got me thinking about how things were back when I was a kid. In December 1969 the Vietnam War was raging on, and men were needed. So someone in the government wrote the date for each day of the year on pieces of paper and put them into 366 blue plastic capsules. Those capsules were then placed in a shoebox and shaken up - really! Then they were dumped into a large glass jar. Some Senator had the honor of drawing out the first vial. And every American guy between the ages of 18 and 26 who was born on September 14th shared first place in the Vietnam Lotto! That year they inducted 195 birth dates before they had all the guys they could train and ship overseas. And they kept on doing it. They inducted 125 birth dates in 1970 and 95 birth dates in 1971. I’m not sure if they used the same shoebox. While that 1971 drawing was the last where men (boys) were actually drafted, they continued to draw birth dates every year through 1975. And that very last drawing was for boys born in 1956, my year of birth! Of course, I knew they were no longer drafting. 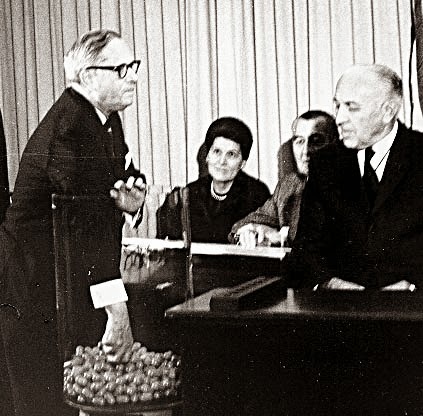 The Unites States had withdrawn ground forces from Vietnam in 1973. But simply having a draft number was a bit, shall I say, spooky! My particular induction number was 084. Keep in mind; each year that they inducted boys, they took at least the first 95 birth dates. At 084 I was sure to be wearing olive drab khakis, had it not been for President Nixon’s policy of Vietnamization. But I must confess that one of the biggest regrets of my life is not having served in the United States military. Every time I see a flag flying full-staff or half, I feel pride, and at the same time, a bit of shame. And I envy the medals and ribbons my veteran friends earned for their brave service. Of course, I did serve as a Boy Scout Leader. Does that count?